Your credit score is determined largely by your history of whether you make payments on time or not. It also factors in your credit age as well as how many lines of credit you have access to among other factors as well. If you currently have zero credit history or poor history from a troubled past, it can be hard to qualify for most credit cards. This makes the Capital One Secured credit card a good option to help you show lenders you are responsible with credit and start building your score in a lower risk environment. Let’s take a look at the benefits of the Secured credit card and see if it’s the right one for your wallet or not. The major benefit of getting a secured credit card is to build your credit history and increase your credit score by showing lenders you make payments on time and are responsible with borrowed money. Secured credit cards give you smaller credit lines to help you build the habits needed to grow your score while keeping the risk level down so you can’t put yourself in lots of credit card debt. With the Capital One Secured card your credit counts towards all 3 credit bureaus like a normal credit card and you’ll find many different tools on Capital One’s website to help you monitor and grow your score. You can also increase your credit limit after paying on time successfully for your first 5 payments. 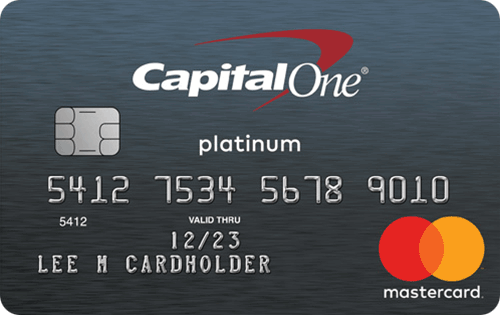 Enjoy the benefit of having no annual fees with the Capital One Secured credit card. This can save you $39 to $299 annually considering that is what a lot of credit cards charge for their annual fee. Instead of an annual fee, however, you’ll have a security deposit to put down but it is refundable so it’s not lost money like an annual fee. It can be quite risky carrying lots of cash while traveling overseas. It’s an advantage to be able to make purchases with your credit card but most charge transaction fees on foreign purchases. Luckily, the Capital One Secured credit card has no foreign transaction fees so you can spend money on your credit card outside the country without the stress of extra fees. Most credit cards will offer a credit line equal to your security deposit, but with Capital One you can qualify (based on your credit score) to put less down than your credit limit. For example, you may qualify to put $49 or $99 instead of the full $200 on a $200 secured credit line. Another perk is Capital One will let you pay your security deposit over time in installments if you can’t put it all down upfront at once. Let’s take a look at the drawbacks of the Platinum credit card and see if it’s the right one for your wallet or not. Unfortunately, the Capital One Secured card offers no cash back rewards, no sign-up bonus, and no other rewards incentives. This can be a drawback when you consider alternative secured cards that offer 1% cash back and even 2% cash back in some cases like the Discover It Card. With any credit card, the goal is to pay off your balance every month. However, life happens and sometimes you may not be able to pay off your statement balance in full. If this happens with the Capital One Secured Mastercard you’re going to feel the sting as you get hit with a 26.99% APR which is high compared to other secured credit cards. There are several credit cards that could serve as an alternative to someone with average, poor, or no credit. Like the Capital One Secured Mastercard, these secured credit cards offer a chance to build credit responsibly with minimal security deposits. Let’s take a brief look at them and see if one is a better option for you. The Discover It Secured credit card gives you access to a higher credit line but only with higher deposit amounts. For example, a $3,000 secured deposit can qualify you for a $3,000 credit line. It also offers 2% cash back which translates into rewards money throughout the year unlike most secured cards that don’t offer rewards programs. Discover also matches your cash back rewards earned in your first 12 months. The Discover It Secured credit card has no annual fee and no foreign transaction fees but comes with a 3% balance fee. The APR is 25.24% but one upside is you can get a 10.99% APR on balance transfers for the first 6 months upon opening an account. As a Mastercard holder, you’ll enjoy wide merchant acceptance across the world compared to Discover and lesser known credit card brands. You can also enjoy a minimal security deposit requirement of $200 with the City Secured Mastercard as well as no annual fee. There are no rewards with this credit card and there is a 3% foreign transaction fee which can be drawbacks. Additionally, the APR is 29% which is quite high especially for a secured card but you shouldn’t be paying interest on a secured card anyway since it’s meant for keeping a small credit line to increase your score. The Secured Visa® Credit Card from Capital Bank is another solid alternative for building credit. It has an annual fee of $35 but this is minimal compared to the annual fees of most credit cards. It also comes with certain Visa benefits subject to approval. Your credit line will range from $200 to $3,000 depending on what you can qualify for initially. You’ll be required to put down a security deposit as well which is standard. Is the Capital One Secured Mastercard Card Right for You? The Capital One Secured Mastercard is one of the best secured credit card options available for building credit. You can put a minimal security deposit down payment compared to most cards and get access to a credit line larger than the security deposit which is rare. Your line can also increase once you’ve made 5 successful payments which helps your credit score by lowering your credit utilization ratio. It’s a good option to increase your credit responsibly before moving up to a rewards card once you can qualify.